maya – Where Angels Fear to Tread? As usual, I woke up this morning in fear. Actually, more accurately, what happens is that I awake, and then a few seconds later, I feel fearful. It’s not a huge, terrible fear; it’s a quiet, almost indiscernible fear. I’ve been aware of it for some years now and despite many attempts to root it out I still have it. Nowadays, I notice it more so because I get hot flashes due to menopausal symptoms – what happens with hot flashes for me is that if I have an anxious or fearful reaction to something, I then get a hot flash – it’s like a mild panic attack because the adrenaline is activated. I used to think this morning fear was just fear at being here, on the planet and not feeling safe, not feeling at home here, so when I come out of sleep, awake and come back into my body, I then realise I am ‘here, and that’s enough to make me go into fear! Or so I thought. Recently though, I began to see that upon awakening, I am actually in my body and it is actually that realisation that causes me to feel fearful, and that’s what makes me to leave the body. Quite an important distinction here as I had always thought we leave our body when we drop off to sleep. However that is not the whole story, and I think what really happens is that we have to fully come into our body in order to leave it! Not exactly sure how this works, but a theory would be that we have to fully ground into the body so that the part that leaves and merges can do so because it is still connected by the silver thread that has to be fully grounded. Anyway, today was different because as I awoke in peace and moved into fear, I realised that the fear happens at the moment of realisation that I am separate … an individual person – because in sleep and for a few moments before I become aware, I must be knowing that I am not separate…otherwise, I would not have fear when I realise I am once again an individual. This was a powerful realisation for me because whilst I have truly once or twice really known the words of Marianne Williamson, that we are in fear of our power, it was not something I had truly connected before. Here was another piece of the jigsaw puzzle falling into place. I feel fear because I am an individual. I dozed off again feeling content with this insight which nicely tied in with an experience I had last year about the power of fully individuating. 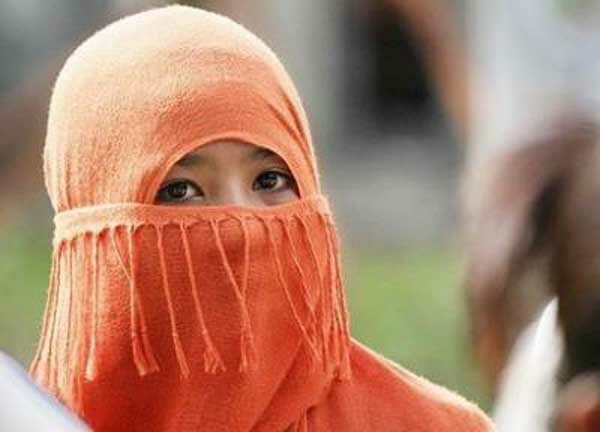 We in the West can often be heard criticising those countries that force their women to cover up and we cannot easily understand why some women actually say they like to wear the veil because they feel safer. They have this pattern more prominently than we do and as such display it for all of us to see. Each nation carries a piece of the shadow puzzle of human consciousness, and just as each region does, each city, town or village and family also does. Indeed, it continues right down to each individual and beyond. What would happen if we as a whole could see this reflection as collective issue instead of judging? What happens when we see all human behaviour as a reflection of the collective rather than blaming the person as a being or even as their individual issues? To me this is incredibly exciting thing to explore, because despite being a fairly aware individual and intellectually understand this principle, it is another matter entirely to embody and experience the direct knowing of this truth and then to see the programme that I was running without knowing it was amazing. Of course, I still had the programme to delete which I did and it’s likely that I won’t have seen the end of it because usually clearing limiting beliefs is not a one-off event but an on-going process. Yet, that experience of hearing myself say “I want to be veiled” was powerful in helping me to see how the collective consciousness works in the individual. Releasing the fear of being seen is the next step – I’ve done a LOT of work on this already, believe me! There used to be a time that I literally became sick at the thought of speaking in a group – even imagining talking about myself and giving my name was enough to have me shaking with fear… and it was worse when the time came too! These days I am not so bad and most folks would have no idea just how desperately insecure and shy I once was, and still can be from time to time. It has never totally gone away and as I said before, it’s a work in progress releasing it. I am reminded that compassion for self and others is imperative when doing the ‘work of the self’ and as we do this work as individual, it affects the whole, the collective, and anything that has been done, can be undone.